New Delhi: MBD Group, one of the leading education companies in India with over six decades of experience, is participating in New Delhi World Book Fair 2018, which was inaugurated today by Shri Prakash Javadekar, Hon’ble Minister for Human Resource Development, Government of India. MBD Group’s Stall (No. 140–157) is located in Hall No–7F–H, Pragati Maidan, New Delhi. Ms. Monica Malhotra Kandhari, Managing Director, MBD Group, today unveiled Robotics for School Education – which is in line with STEM education – and a new line of high quality interactive e-books. The MBD stall at the event was brimming with excitement with major educational product and solution launches, innovative educational apps, Virtual Reality and Augmented Reality and ICT Classroom paraphernalia. 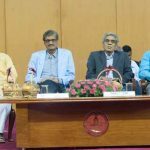 The newly launched educational products, like MBD’s other offerings in the education sector, are backed by the Group’s outstanding expertise and over six decades of experience in the sector. MBD’s new high quality interactive e-books are an extension of the high quality books published by the group. With the interactive e-books, students will have easy access to engaging high quality educational content anytime and anywhere. And with Robotics for School Education, kids will be able to experiment with their subjects in a creative manner. Our training modules, workshops and kits for Robotics are designed in such a way that they encourage students to brainstorm and come up with their own solutions. As the leading education company in the country, MBD is the trendsetter when it comes to quality content and innovation especially in the education sector. 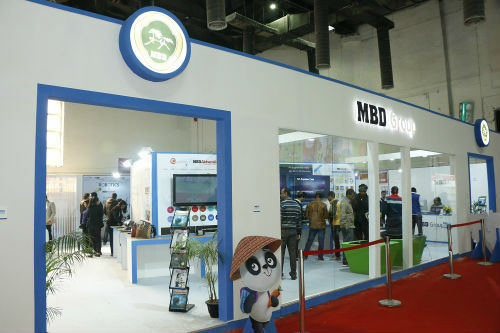 True to its standing, the MBD Group showcased its digital content offerings for leading central and state education boards as well as several education boards of foreign countries at the Book Fair. The MBD Group offers an entire range of reference books, interactive e-books, robotics, educational apps, AR & VR, ICT classroom, English language lab, Readers and school stationery.